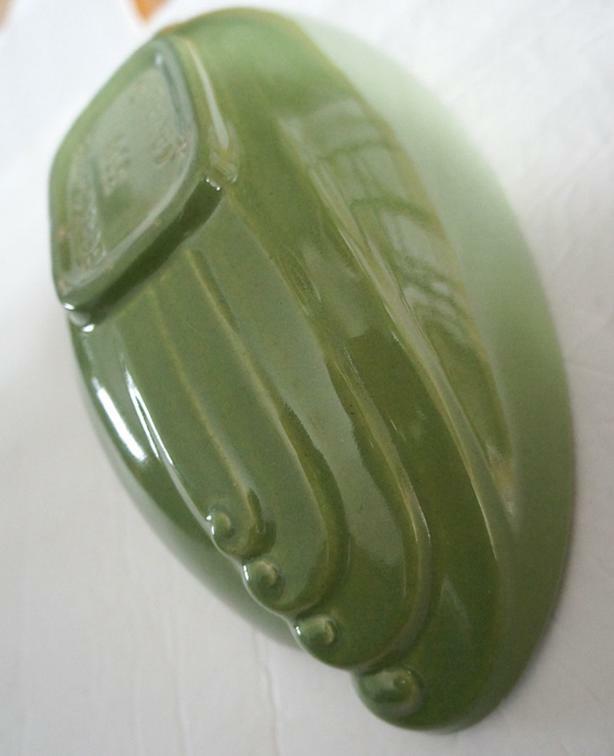 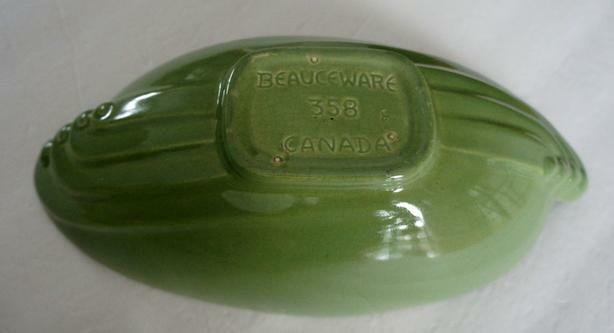 This is a very nice Beauceware bowl, Art Deco Style color is green, marked Beauceware 358 canada. 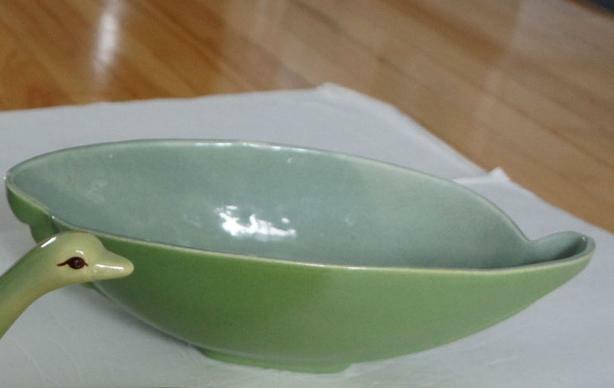 In excellent condition no chips no craks see pictures. 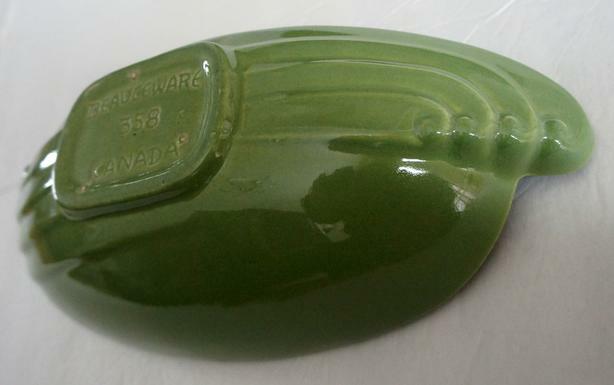 Measures 11" 1/4 long x 5" 3/4 wide x 3" tall.